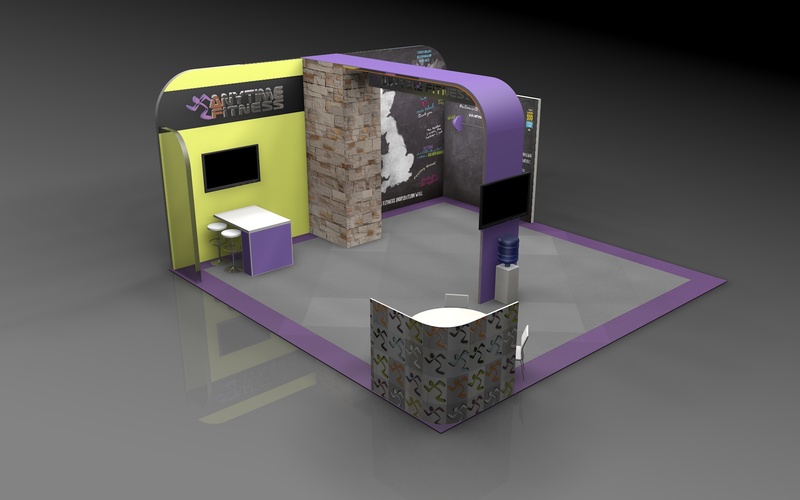 Exhibiting at the NEC Birmingham, the UK's No. 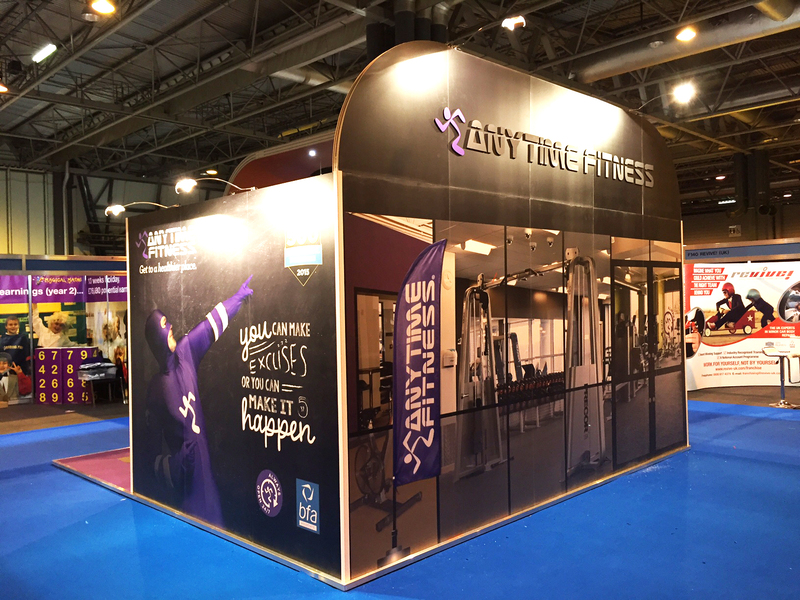 1 venue for trade and consumer shows and London Olympia, this franchise focused stand really shows the message of what a good investment Anytime fitness clubs can be. Strong retro styled info graphics were used to communicate the companies USPs in a friendly but factual way. 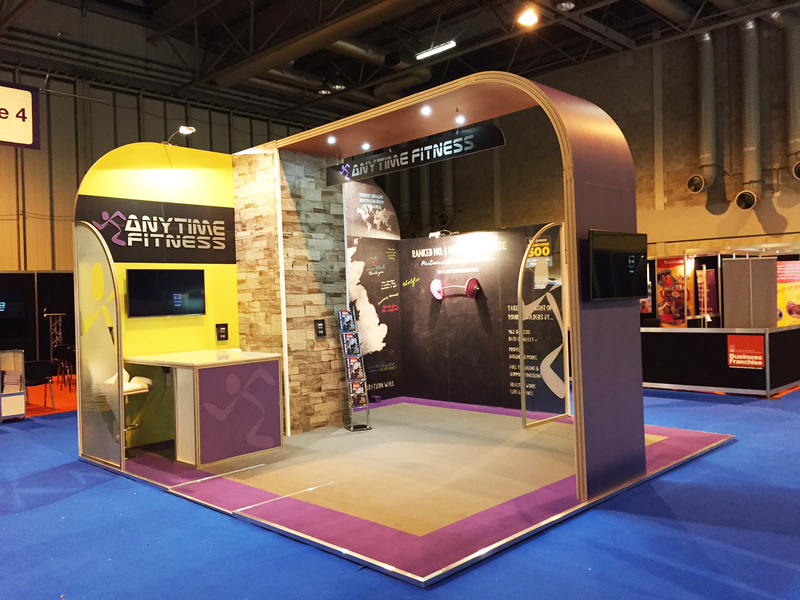 A flyer in the form of a gym free pass was produced and given out to invite people to the stand. 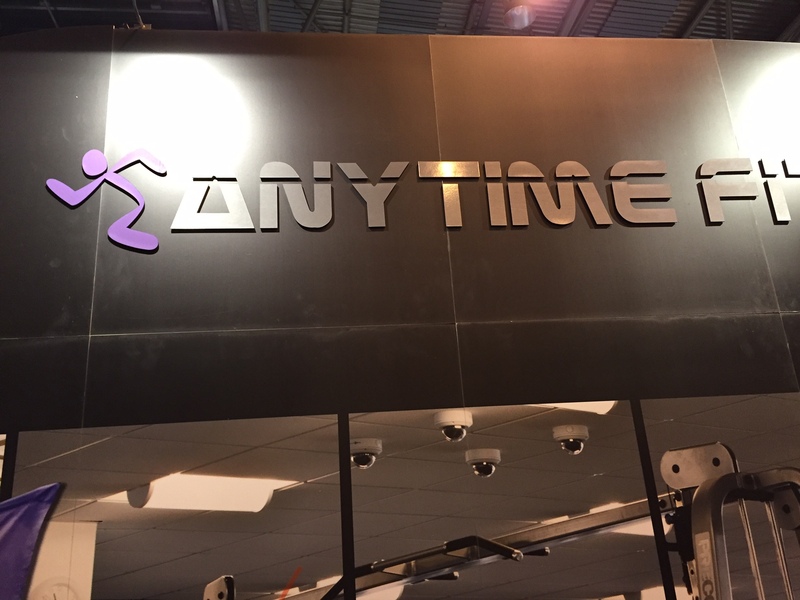 The whole project was a huge success!